I am finally finished with the artwork for my dining room! If you remember, a while back I sent out a request for help. 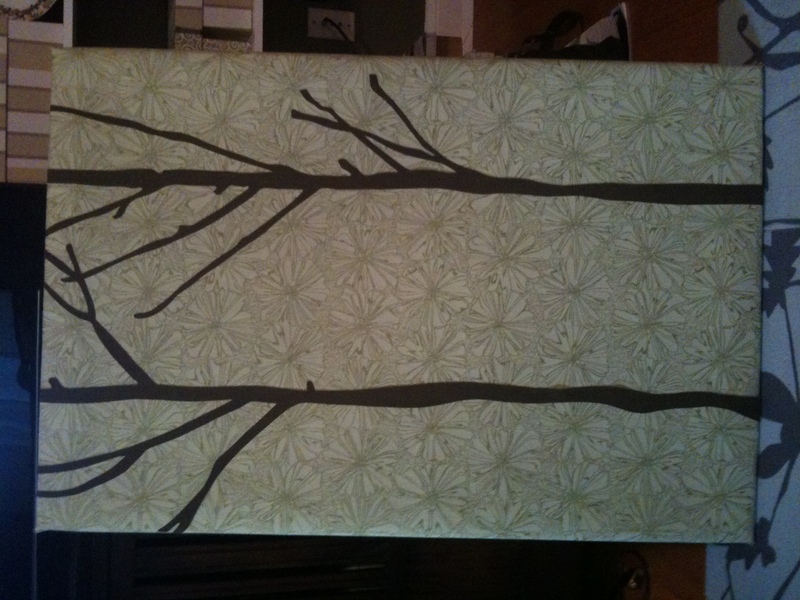 I was having trouble deciding how many trees to include on my fabric panel. Most people like one of the first two options and a few liked the original with just two trees. Over the past month or so I would take a day and tape a third tree up, leave it there for a few hours, come back and more it to another place, then live it there for a few hours…just to see what I liked the best. Now for the how-to. 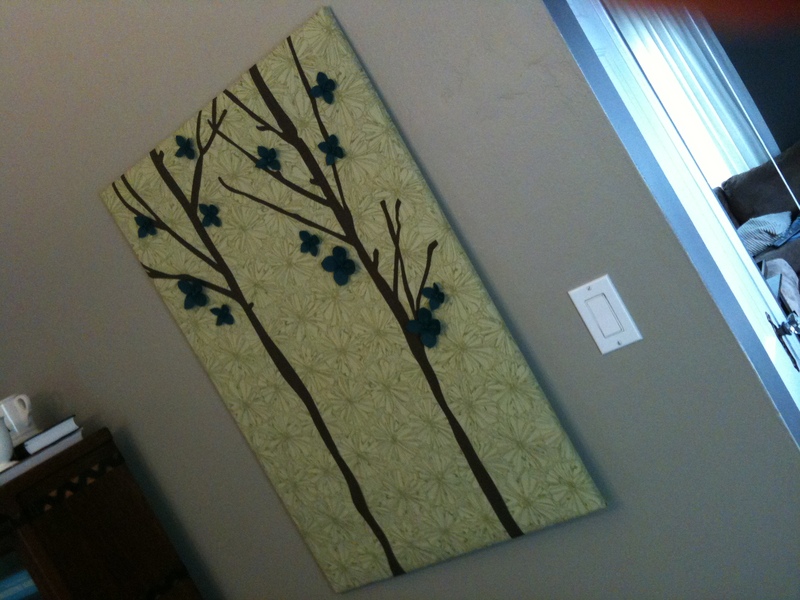 This project was very similar to the other fabric panels I made, I just didn’t involve paint this time around. 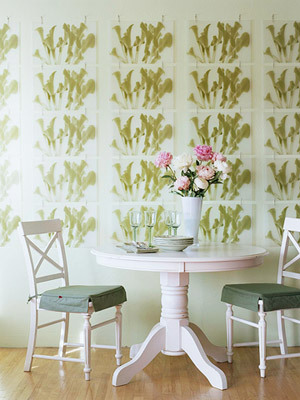 I started with this beautiful green floral fabric from Knoll Textiles that I’ve loved ever since it came out a few years ago. I wrapped that around a wood frame that I purchased at Michael’s. 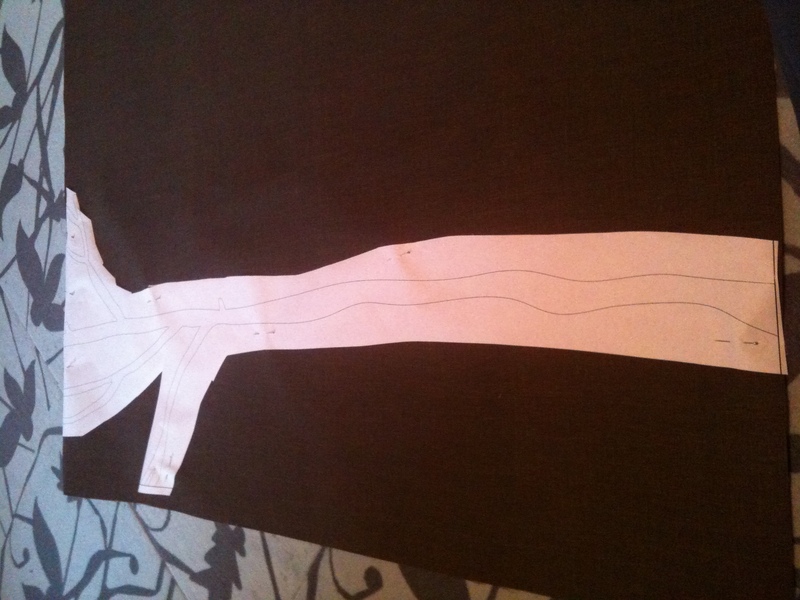 After that, I made my tree template. This was done in AutoCAD. I imported an image I liked, traced over the image and then placed my trees into a rectangle the same size as my panel (24″ x 36″). 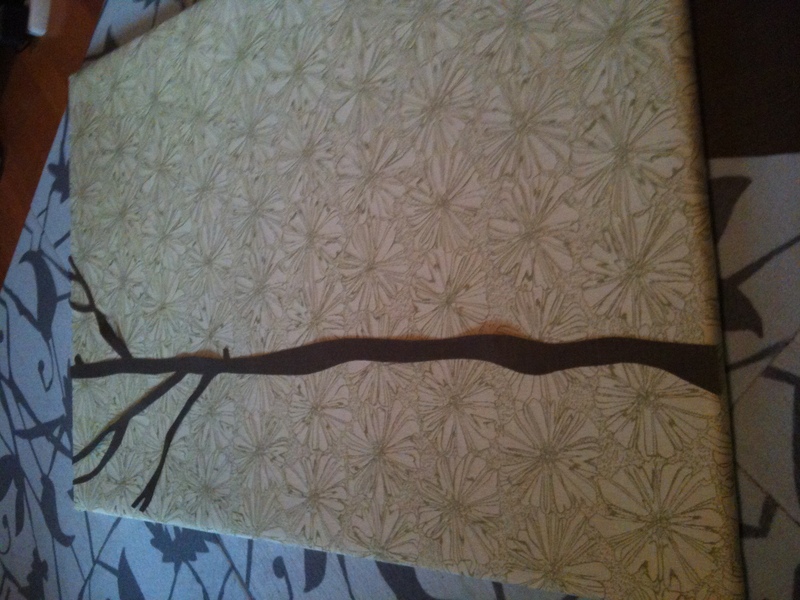 After printing this out to scale, I cut the trees out and pinned them to my second fabric–a brown, outdoor fabric I picked up on clearance at Joanne’s. My mom found it and I really liked it because it has a very subtle crosshatching pattern to it that reminded me of tree bark. 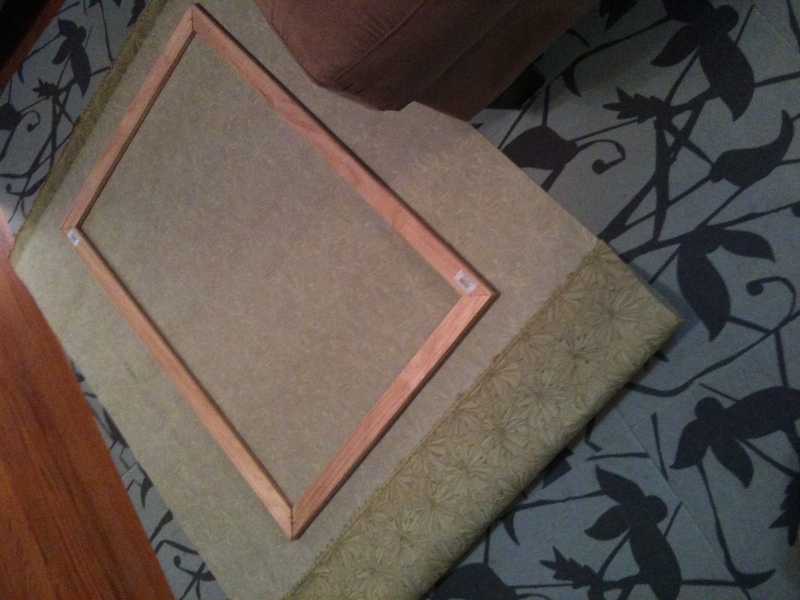 I proceeded to cut along the lines, moving pins as I went along to make sure the fabric didn’t slip. In the end, I had my trees. At this point, I placed them on the fabric panel to see how things looked. 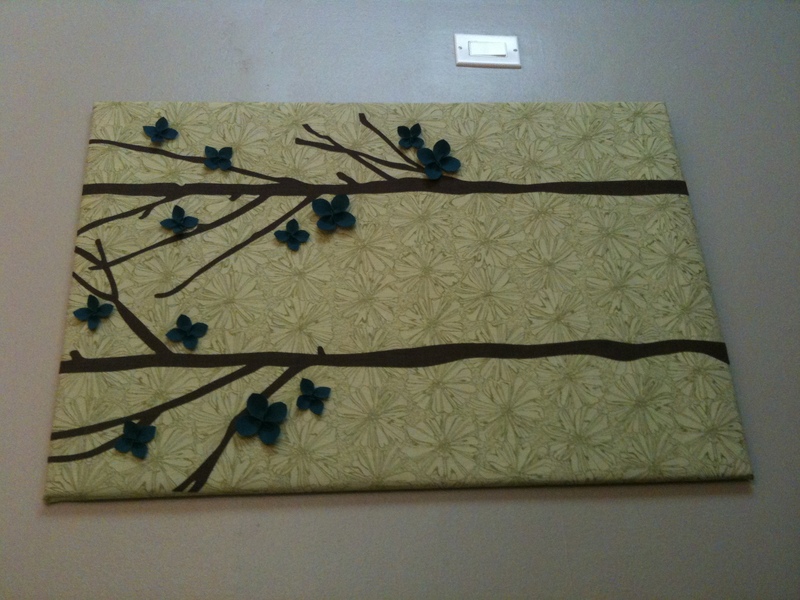 Once I was sure I liked the placement, I glued them down with Fabric-Tac glue. It was an old bottle and I had to squeeze pretty hard to get the glue out, but it worked really well! This is where I stopped at and took a couple month break in the project…mostly because I was having trouble finding the time to finish, but also because I wasn’t sure if I should stop at two, or keep adding trees. 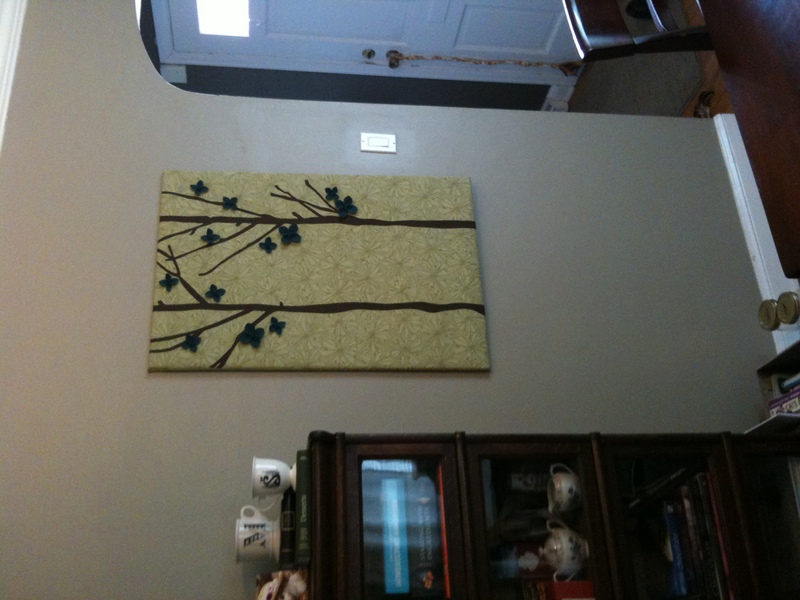 I finally decided on leaving it at two trees, but knew the panel needed something…more. I had clipped out an article from a Martha Stewart magazine a few months ago about how to make small flowers out of ultrasuede fabric. 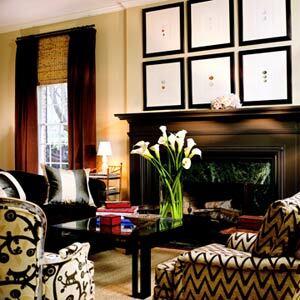 She showed them as embellishments on throw pillows, but I thought they would be perfect for my panel (check back tomorrow and I’ll explain how I made them!). I went to work on my flowers over the past weekend and after I glued those onto my artwork, I realized it had morphed into exactly what I had hoped…a beautiful piece of art that was simple, calming and caused me to smile every time I walked past!